A funny rhyme to whet your appetite for the first day of school! Our favourite crazy old lady is back, just in time for the start of term. 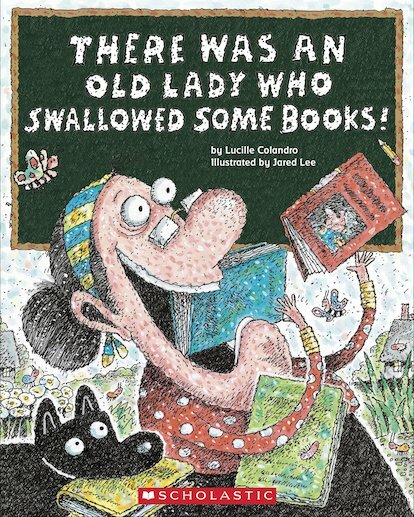 And this time she’s swallowing books to prepare for the new school year! How many books will she have to gobble up before she’s ready for class? The children had better hope she doesn’t swallow the school bus too! Based on the same classic structure as the well-known verse, and filled with wacky illustrations and fantastic rhymes, this tummy-rumbling tale is so entertaining you might want to swallow the book yourself!